Training: Oh Yes, I CAN Work! 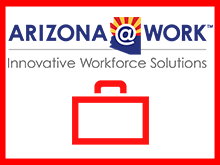 Join a panel of experts and individuals with competitive jobs at "Oh Yes, I CAN Work!" free training about competitive employment for people with significant disabilities. This event is for vocational rehabilitation counselors, DDD support coordinators, high school teachers and transition staff who help people with significant disabilities find jobs in the community. During this training, Laura Owens, Ph.D., will highlight programs that get people with significant disabilities employed. Attendees will also hear from a panel of individuals with disabilities who are successfully employed in integrated settings earning competitive wages. The panelists will be joined by job coaches, family members, and employers who have supported their journey to job success. An audience Q&A will conclude the session. Laura A. Owens, Ph.D., CESP, has over 30 years of experience as an international leader, speaker, and publisher in the disability employment field. She is currently the President of TransCen, Inc. (TCI) and a Professor at the University of Wisconsin – Milwaukee in the Exceptional Education Department. TCI, based in Maryland, improves employment outcomes of individuals with disabilities by providing direct placement services; developing and evaluating new service models; and providing training and technical assistance. From 2008 to 2014, Dr. Owens served as the Executive Director of APSE, a national organization focusing on the advancement of integrated employment for people with disabilities. She earned her Ph.D. from the University of Wisconsin – Madison.